UV 50 Protection:SanSoleil's SolStyle® pleated skort offer permanent sun protection. Wicking and Quick Dry:SanSoleil's SolStyle® pleated skort is cooling to wear. This Golf-inspired SolStyle® pleated skort adds a stylish vibe to any wardrobe. 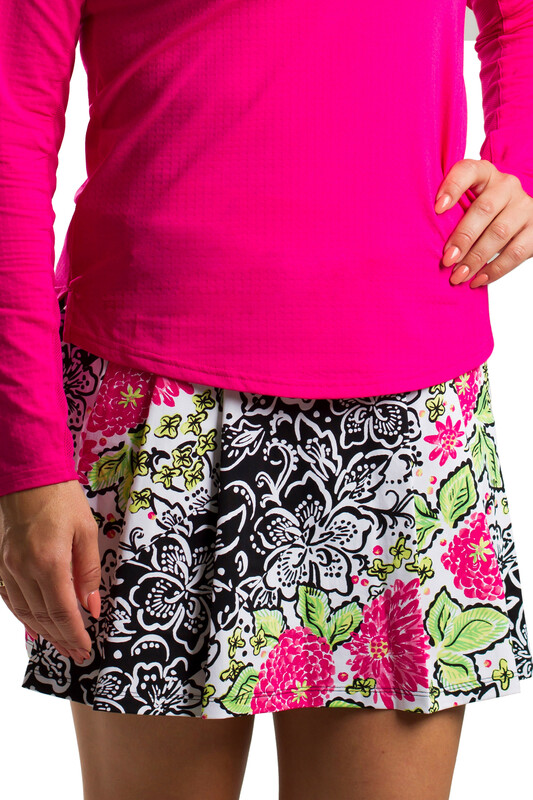 The pleats give this skort a fun and sophisticated finish for the golf course or anywhere the road takes you. Lightweight, Breathable, Cooling Pull on, comfort waistband. Built-in stretchy shorts with pocket. 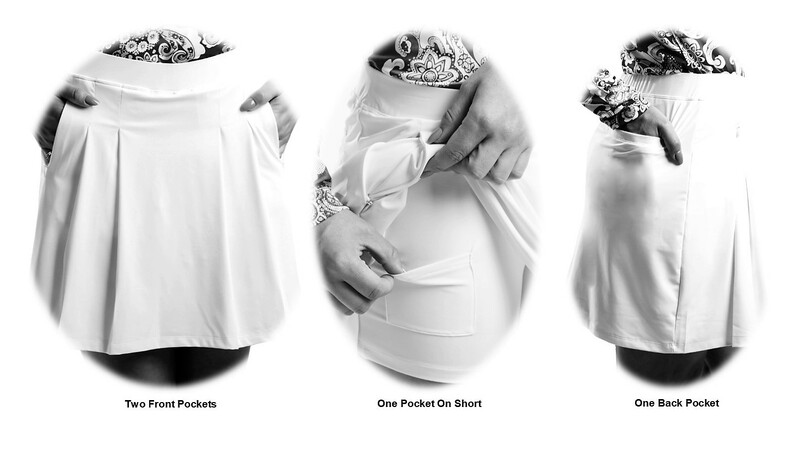 Two front deep zippered pockets and 1 back zippered pocket. 18" long (MED). UV 50+ Sun Protection. Fabulous!!! I have Lupus and absolutely cannot be out in the sun without protection. Summer at 110 degrees here and SanSoleil allows me to still go out in the heat and golf to my heart's content! THANK YOU!!! SANSOLEIL! You are my FAVORITE! !